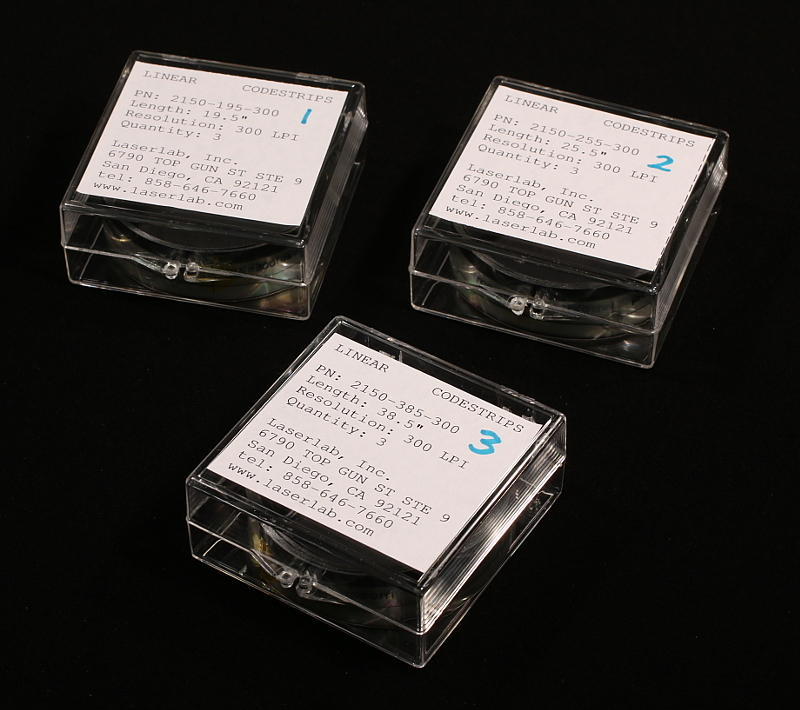 We manufacture both custom and stock-item encoder strips and wheels. Our stock parts include 300 LPI (Line Per Inch), 0.007" thick, 0.7" wide codestrips with prepunched mounting holes. These strips provide a resolution of 1,200 steps/inch in quadrature. Popular sizes include 19.5", 25.5", and 38.5" models. We stock these for immediate shipment. Click one or more of the "Add to Cart" buttons below to order. 3-packs as ordered below are available for shipment to U.S. addresses only. For international purchases, please contact us via email for a quotation.